Vanguard’s latest “set it and forget it” asset allocation ETFs rounded off a five-strong suite of products for the low-cost provider. 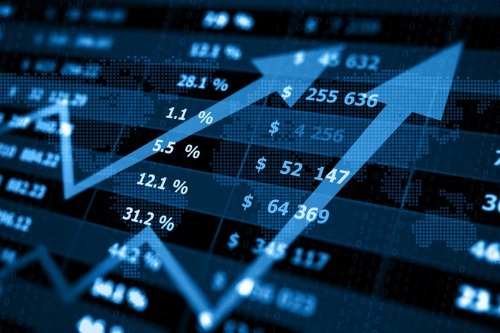 The company has launched the Vanguard Conservative Income ETF Portfolio (TSX:VCIP) and the Vanguard All-Equity ETF Portfolio (TSX:VEQT), which in terms of risk profile bookends three other funds in the family: its Vanguard Conservative ETF Portfolio (VCNS), Vanguard Balanced ETF Portfolio (VBAL) and Vanguard Growth ETF Portfolio (VGRO). VCIP, on the conservative end, has a strategic allocation of 20% equities and 80% fixed income and is made up of seven underlying Vanguard index ETFs. At the more aggressive end of the suite, VEQT consists of 100% equities and is constructed with four underlying Vanguard index ETFs. The three preceding one-fund solution ETFs have since reached more than $1 billion of assets under management, making them Vanguard’s fastest growing suite of products in Canada. Tim Huver, Vanguard’s head of product, told WP the widespread adoption of these products meant adding two additional risk profiles at either end of the spectrum made perfect sense, with their versatility also an attraction. The “ETF of ETF” structure of the two new ETFs provides access to global markets and diversification. Huver added the rebalancing is done by Vanguard’s portfolio managers and costs 22 basis points as the management fee for the ETFs. Crucially, he said, the value add of the “set it and forget it" funds allowed advisors to free up time to work on relationships with clients, something that is becoming more crucial as fees and value continue to come under the microscope. He said: “The value proposition for an advisor is changing within the market place. It’s moving from individual stock picking or fund selecting or searching for the hot fund manager and more to the enduring holistic financial planning themes. With that, an advisor can hone in on getting their asset allocation right and to set it and forget it – that’s what these products provide.